It’s the kind of program that really opens your curiosity. 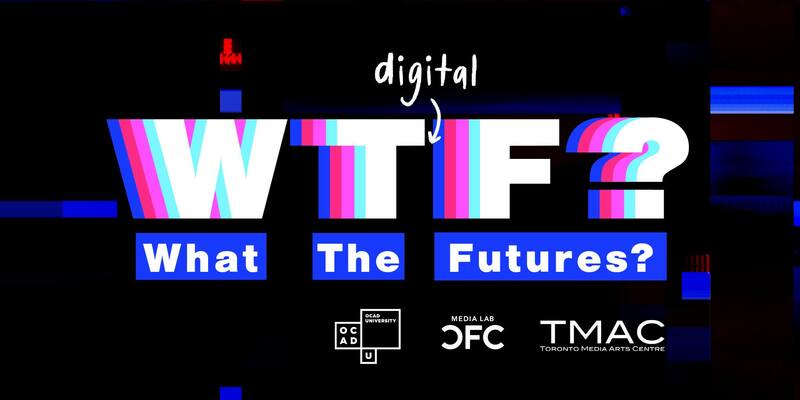 This weekend, the Canadian Film Centre’s Media Lab (CFC Media Lab) attended “What the Futures?”, an annual exhibition of 20 graduate students’ master's thesis projects in the Digital Futures Graduate Program at the Ontario College of Art and Design University (OCAD U). The exhibition ran from Friday, April 12 through Sunday, April 14 at the Toronto Media Arts Centre. CFC Media Lab and OCAD U were proud to partner as hosts for this annual event, and have enjoyed a productive partnership in the wider and ongoing Digital Futures Graduate Program. An innovative, student-centred program, OCAD U’s Digital Futures has part-time Graduate Diploma and full-time Master's Degrees (MA, MDes and MFA) options. The program responds to the increasingly important and sophisticated role of digital technology as a catalyst for change, and draws an international student cohort and faculty – a perspective key to securing its graduates’ futures in the ever-evolving global and creative digital industries. 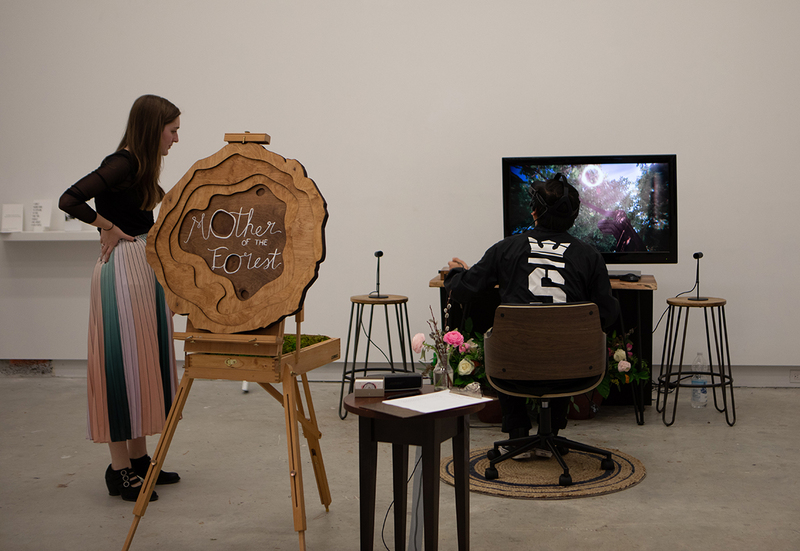 This year’s exhibition featured projects that combine traditional art practices and emerging technologies to explore a variety of topics, including: audio alignment, colonialism, data visualization, gender, horror, identity, immigration, neurodiversity and wayfinding. As Kate Hartman, Graduate Program Director, OCAD U, notes of both the program and exhibition, “Our students don’t just make things with emerging technologies. They think creatively and critically about how, why and when we should use and engage with these ideas and tools - and when we should not. The artworks, prototypes, demonstrations and performances bring this research to life in a rich interactive format." Interdisciplinary feminist artist Quinn Rockliff’s here:there, an acrylic installation that explores the precarity between physical and and virtual embodiment when sharing her experience as a survivor of sexual assault on social media. Designer, programmer and maker Yiyi Shao’s RABBOT - Exploring Shared Awareness in Virtual Reality uses a modified virtual reality head-mounted display (HMD) and ipads to create shared play experiences between the HMD wearer and other observers in the same physical space. Savaya Shinkaruk’s AI Stylist: What Do I Wear? Mobile Application uses artificial intelligence to recommend weather-appropriate outfits based on the user’s body shape, lifestyle and personal style. "Coming to the school, and learning through the students and professors is what really pushed me, and guided me to make this app." Visual artist and a mechanical engineer Chris Luginbuhl’s Future Renaissance imagines a distant future where intelligent machines only dimly remember people, and use humanity’s remaining physical artworks to illustrate their own creation myths. Media designer and producer Emilia Mason’s The Amaya AR Project, an augmented reality documentary that shares her experience of the Nicaraguan diaspora and the story of Amaya Coppens, a Belgian-Nicaraguan political prisoner. 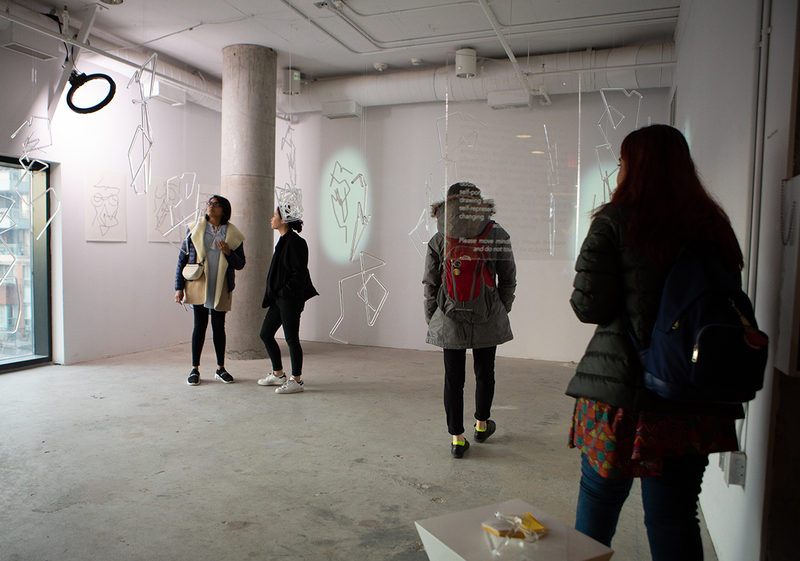 Congratulations to all of the talented graduates of the OCAD U Digital Futures graduate program: Orlando Bascuñán, Finlay Braithwaite, Kristy Boyce, Emma Brito, Ramona Caprariu, Kylie Caraway, David Foster, Sean Harkin, Roxanne Henry, Max Lander, Chris Luginbuhl, Emilia Mason, Jad Al Rabbaa, Quinn Rockliff, Yiyi Shao, Sana Shepko, Savaya Shinkaruk, Dikla Revah Sinai, Tommy Ting and Feng Yuan! Interested in exploring your own digital future at OCAD U? Applications for the Digital Futures graduate program are open until May 1, 2019. Visit here for more details.